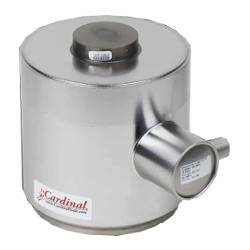 Cardinal 200K-SCA-R Compression Weighing Load Cell for multi-cell applications. 200000 lb capacities available. Environmentally-sealed. Stainless steel construction. IP68. VCAP Certified. NTEP approval. 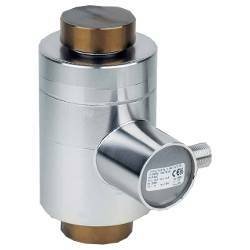 These heavy-capacity compression load cells are ideal for multi-cell applications including truck scales, railroad track scales, and heavy-duty tank weighing systems. 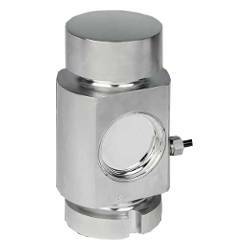 Load cells are fabricated from stainless steel to provide the ultimate in protection when caustic, corrosive or wet environments are encountered. Load cells are environmentally-sealed for absolute water protection. 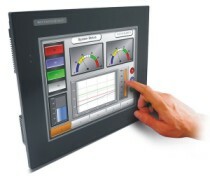 Zero Load Output � 2% R.C. > LOAD CELLS > COMPRESSION : 2 Items found. Cardinal SCA Compression Weighing Load Cell for multi-cell applications. 50000 to 12000 lb capacities available. Environmentally-sealed. Stainless steel construction. IP68. VCAP Certified. NTEP and OIML approvals.